Who controls access to land in the city, controls (much of) its urban future. This makes that in the urban economy, land plays a crucial role – so important actually, that its value is often far more relevant than all that what is built in stone, steel or concrete on top of it. When we speak about rising prices of real estate, we often forget that it is largely the price of the land underneath that is increasing. Not so strange if you consider that in most cities you evidently cannot ‘simply’ create new construction land, so the supply is limited. “Buy land, they’re not making it anymore,” Mark Twain famously said. Twain was obviously unaware of new land that was made in the Netherlands by impoldering large parts of the sea, but in general, he is right, of course. In times of surging real-estate prices (like today in Rotterdam) there is nothing to balance its demand – hence it gets an ‘unhealthy’ value. There is a substantial segment of economists that argue that land should therefore not be considered a commodity: its price-point cannot, because of its inherent scarcity, balance according to the ‘market’ rulebook of supply-and-demand. And precisely that now makes it such an easy prey in speculative development schemes. Besides its fixed supply, there are other reasons why land is different than the usual commodities we buy on the market. The basic capitalist idea is that surplus value is created by labour on raw materials. But land value can increase by legislation (when a building permit is given on agricultural land for instance) or by changes in its surroundings (when a nice park is made in front of your house, the value of land and house rises, and this significant increase is hardly compensated by a bit more land tax you need to pay). You can sit back and increase your capital as a landowner by simply waiting (the value will rise anyway) or by leasing it out (which aristocratic families have done for ages). No need for any added labour. 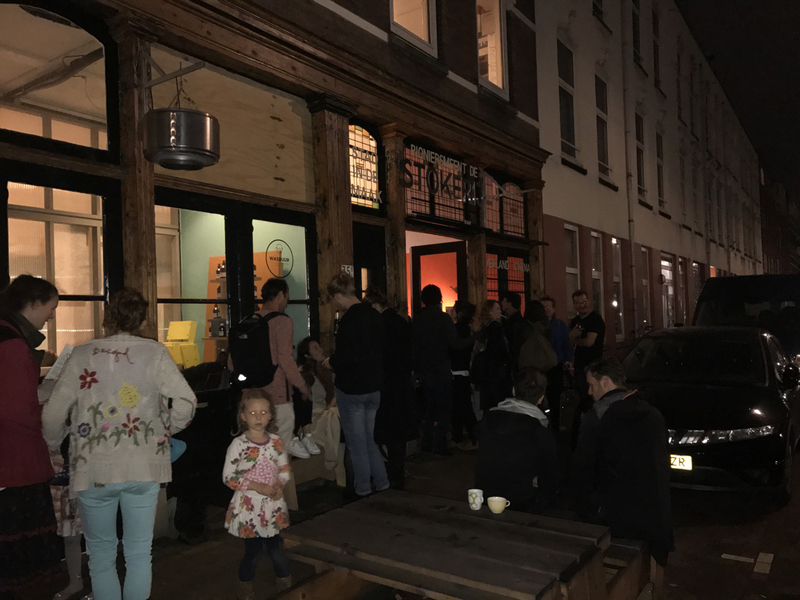 Bakkerij De Eenvoud (‘Bakery Simplicity’ or ‘Common Bakery’), a neighbourhood bakery that is being built in the commons spaces of City in the Making, participates in De Burger Bepaald (The Citizen Decides). Inhabitants of Rotterdam Noord may divide 50.000 Euro’s among 65 local cultural initiatives, by online voting. 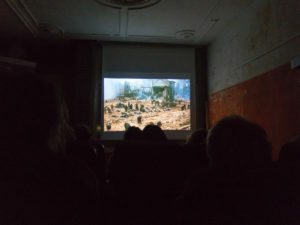 Bakkerij De Eenvoud will build a lime oven in De Stokerij commons, and together with neighbours and other bread enthusiasts bread will be made and stories and recipes will be exchanged. Learn to make your own bread from your neighbours and taste the warm bread we make for each other. Last Wednesday 22nd the Bakery was kick-started. The first bread was baked and tasted. 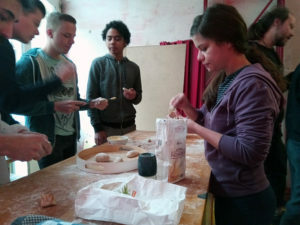 Together with City in the Making inhabitants and neighbours a special one-on-one model was made from dough and paper to test different positions of the oven within in the commons space at Pieter de Raadtstraat 35. 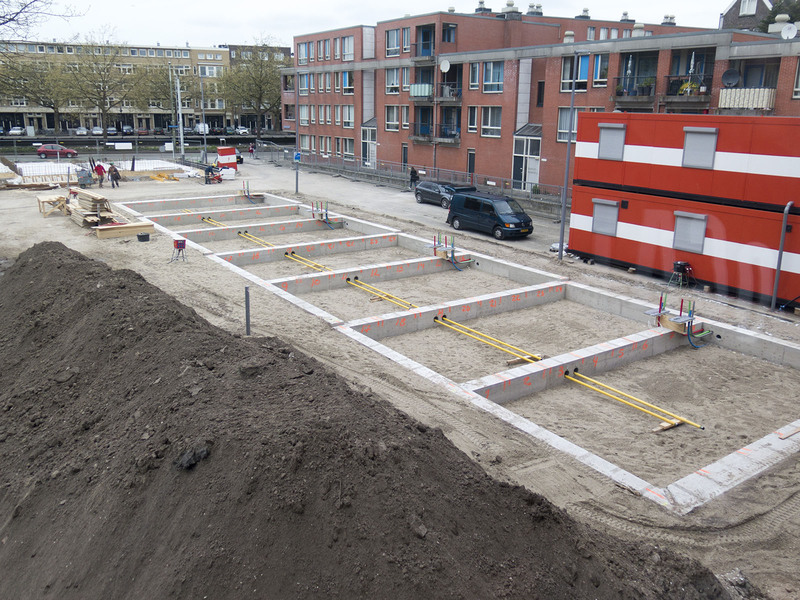 Additional knowledge and flour was provided by windmill De Walvis in Schiedam. Nice, City in the Making is one of the 10 projects out of 44 entries nominated by the jury for the Rotterdam Architecture Prize 2017. Even nicer: everybody can vote for the public’s prize! And klick on the button: ‘Ik stem op dit project’ (I vote for this project). Fill in your email, confirm you are not a robot (unless you are a robot, in that case: sorry, not for you) and click ‘Stem’ (Vote). Of course, you may choose to vote for another project. But why would you? 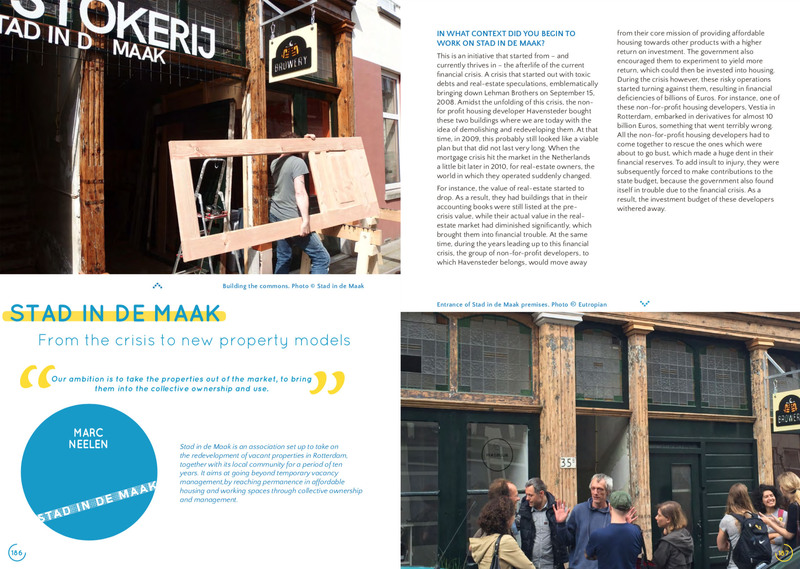 Last month the book ‘Funding the Cooperative City‘ was published. 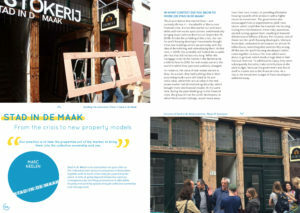 The book promotes and assists experiments in community-led urban development in European cities. 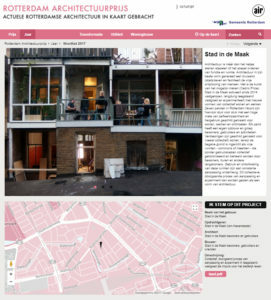 Through workshops (Rotterdam, Berlin and Paris in 2014 and Budapest, Madrid, Rome, Rotterdam, Bratislava, Prague and Warsaw in 2016) as well as investigative reports, video portraits and a publication, the project brings together protagonists from various cities to help shaping a new European culture of urban development based on community-driven initiatives, civic economic models and cooperative ownership. Since november architect/artist/cartographer Carlijn Kingma has been working on a supersize pen-and-ink drawing that positions City in the Making in the larger field of modernity and New Romanticism. Finally it is finished. 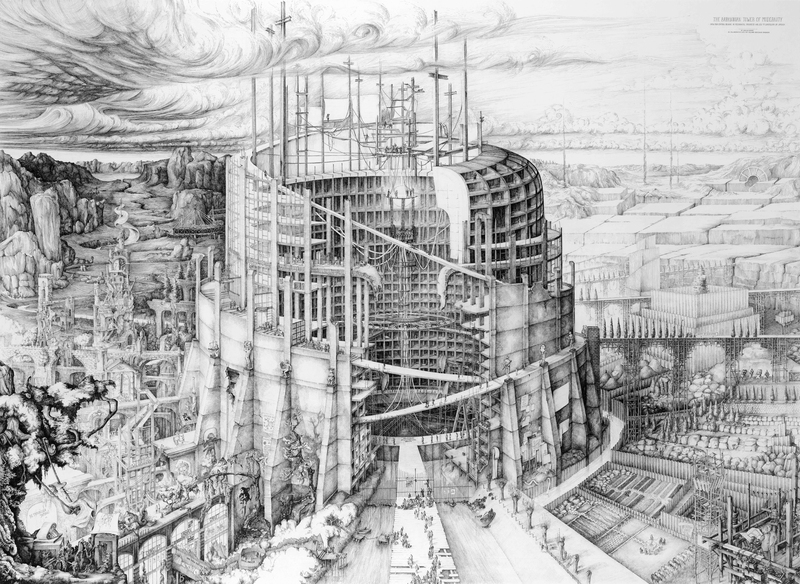 The drawing, titled: The Babylonian Tower of Modernity’, is on show at Carlijn’s first solo-exhibition in Rotterdam. We invited everybody, but especially experts and fans of Utopia’s and Ideal Cities, to join us in the celebrations next Sunday. The third edition of newspaper De Stoker is online now (pdf, mainly Dutch)! The first edition and second edition are also still available! 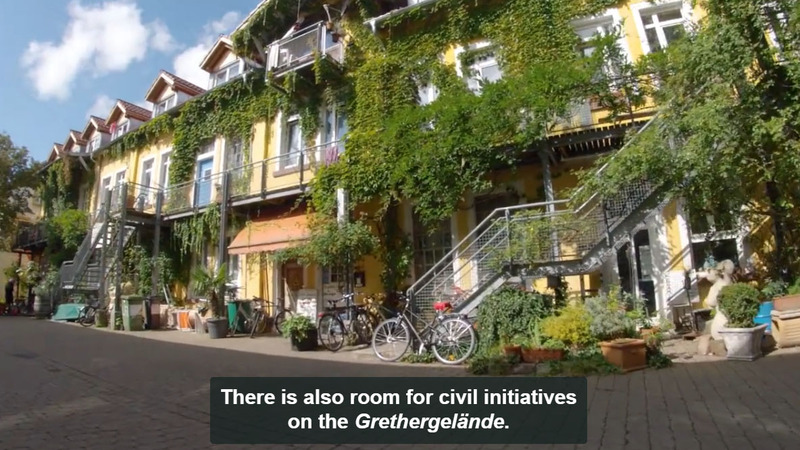 Since 2014, City in the Making started working with vacant buildings to let them contribute again to the city with the help of a group of passionate citizens. These buildings are our training ground towards a network of buildings where we can live and work in a different - affordable, sustainable - way.